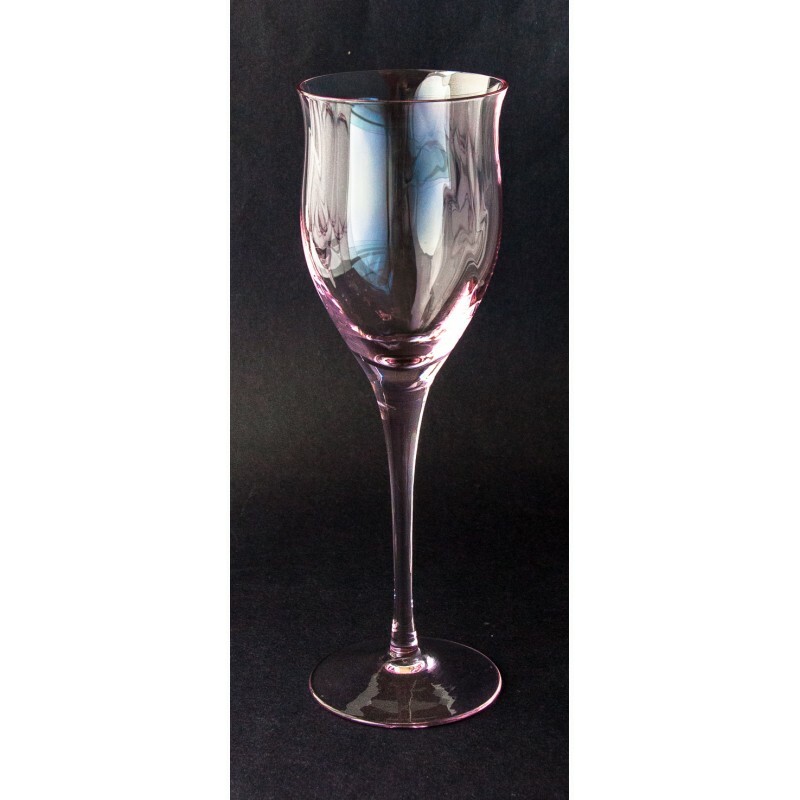 NORITAKE Crystal Stemware PIERPONT PINK. 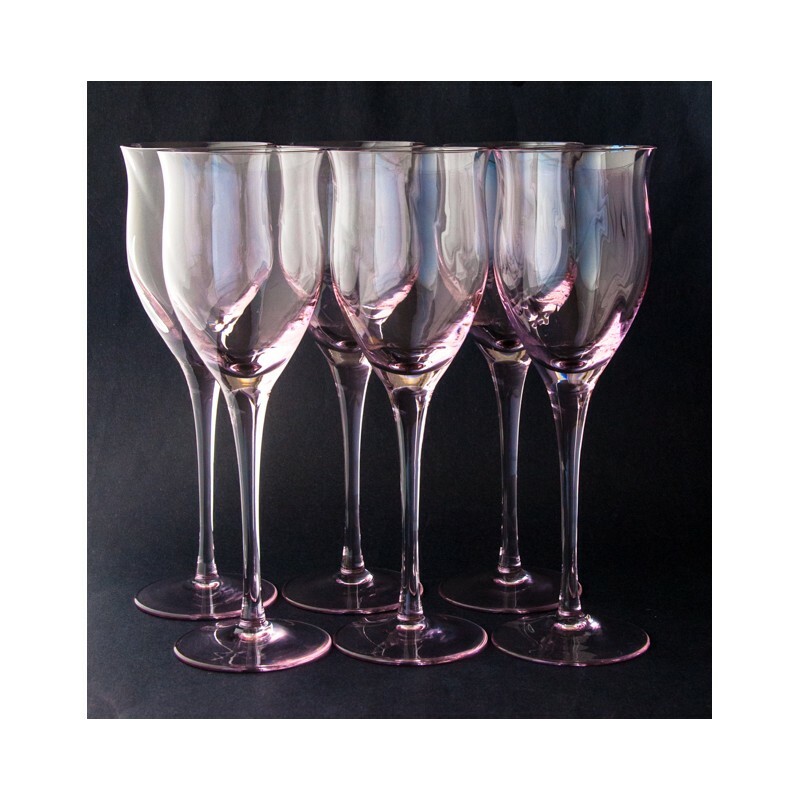 6 Pink Noritake Pierpont Wine/Water Goblets. 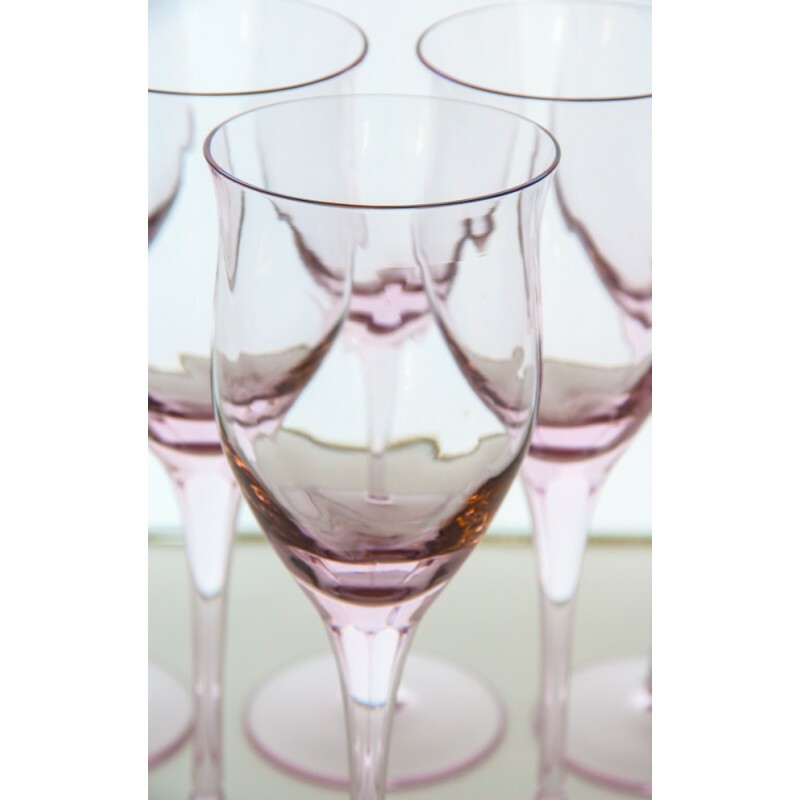 Delicate Pink Optic Swirl Water/Wine Glasses. 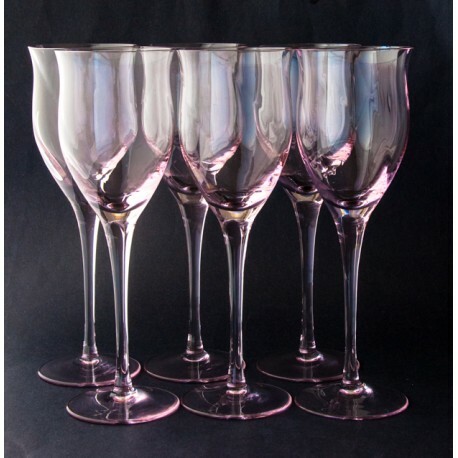 NORITAKE: N – cursive “N” etched into bottom of each glass. 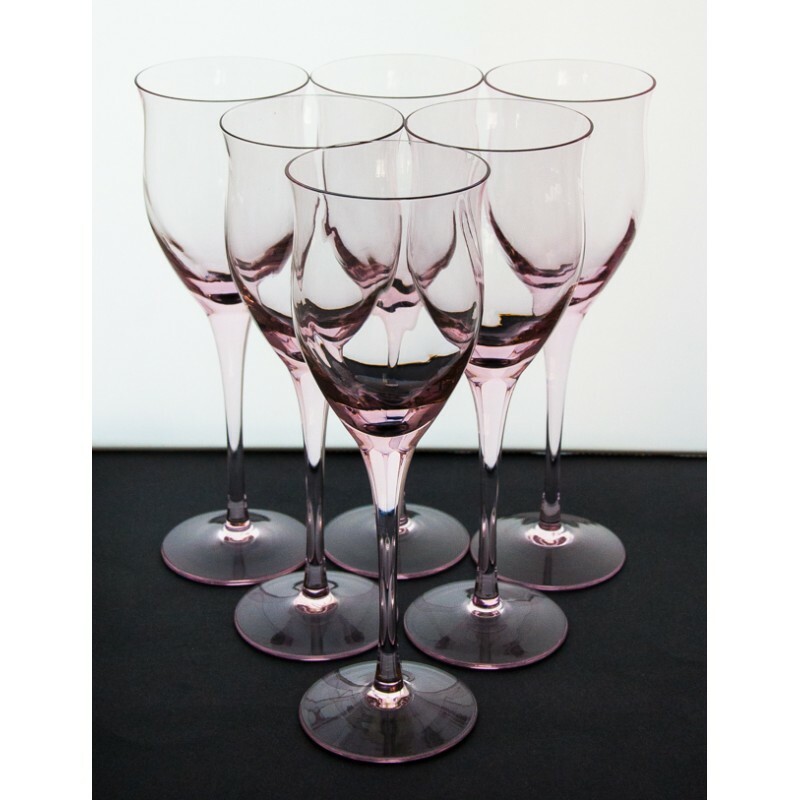 Set of 6 Noritake “Pierpont” wine/water goblets in pink. 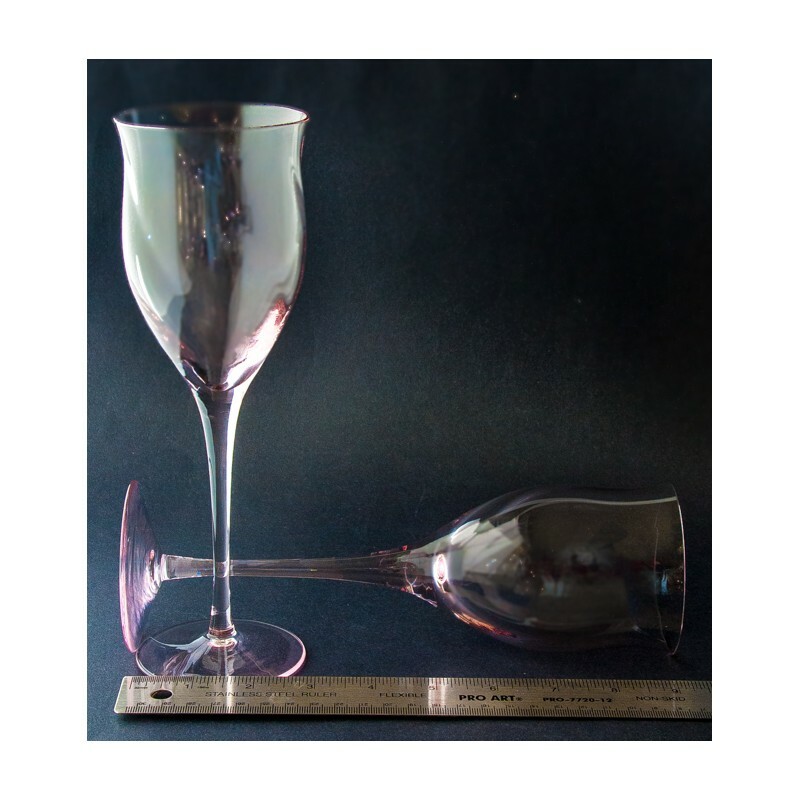 The water goblet – which can double as a wine glass – is slightly larger 9 ¼” vs. 8 5/8” than the wine glass. 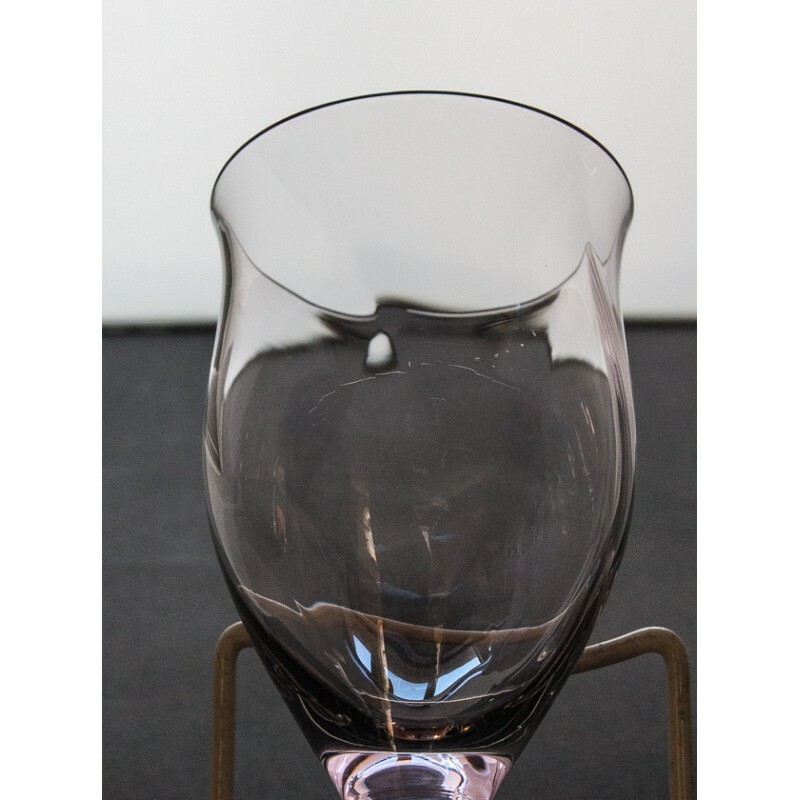 The feature, beside the tall elegance of these glasses, is the barely visible optic swirl. 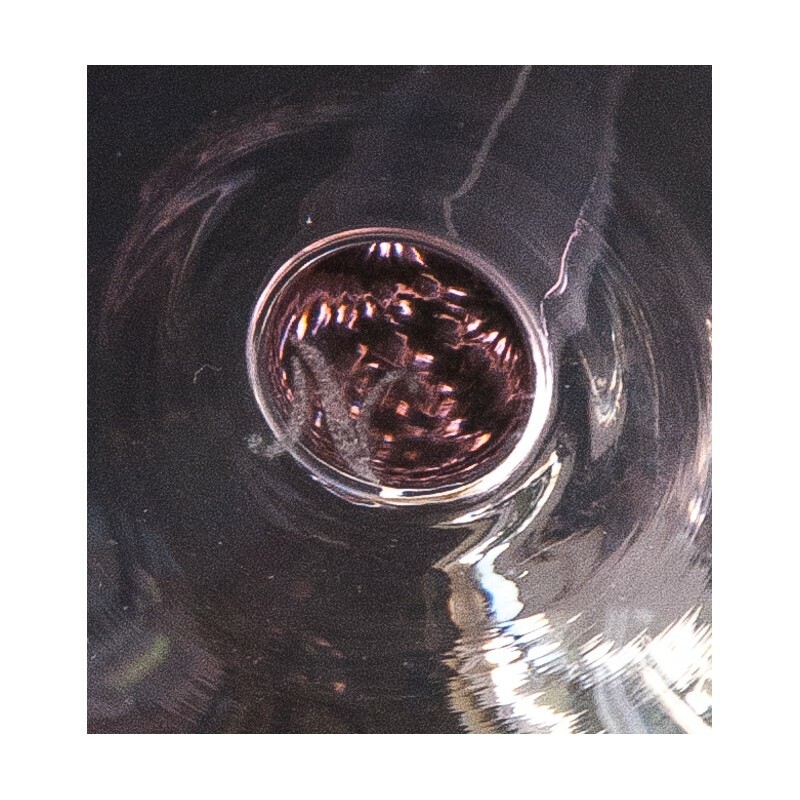 There is a lateral scratch on one glass (shown) not easily seen in normal use. The other glasses are in excellent, gently used condition.